Generally, We upload the images in our Facebook profile or some other social networking websites like Google+, Twitter etc. sometimes, we can see the same image which we uploaded into social networking site in the some other websites . actually, we don’t know who copied that image. but we had never give the permission to use our photos. Few people are creating many Facebook profiles by using our photograph too, going to face so many problem in our personal life. I know this is one of the most panic situation for you. There are two ways to identify the image copied from Facebook,Twitter,Google Plus account. The First way is Reverse Image search by Google and the second one is TinEye website. Firstly, Go to Google Image Search and click on Camera icon which u can see inside the search bar. A pop-up will appear with two options as "Paste Image URL" and "Upload an Image". If u want to search image by url, u can select "paste Image URL" and give the url address. If u want to search the images by uploading ur image, select "Upload an Image", and choose file from the local hard drive. Thats it! Google will search for similar images on the web and will show you a list of all images that matched with ur uploaded image. TinEye is a reverse image search engine. It finds out where an image came from, how it is being used, if modified versions of the image exist, or if there is a higher resolution version, it provides you the complete details of the photograph such as image type and size, link of webpage etc. First, Go to the Tineye home. As like Google Image Search, tineye has two options "Upload your Image" and "Enter Image Address". 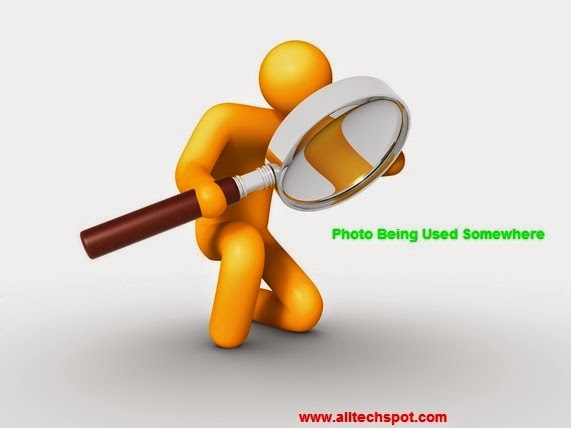 After selecting the photograph from your computer, it will make a search on the web and will show you the complete list of all images that matched with your uploaded photo. I hope you like this useful tips of Image Searching, Feel free to ask and share your view with us through comments.